Teaching young children about the importance of the Arctic in our planet’s ecosystem is an important first step to developing environmental consciousness. 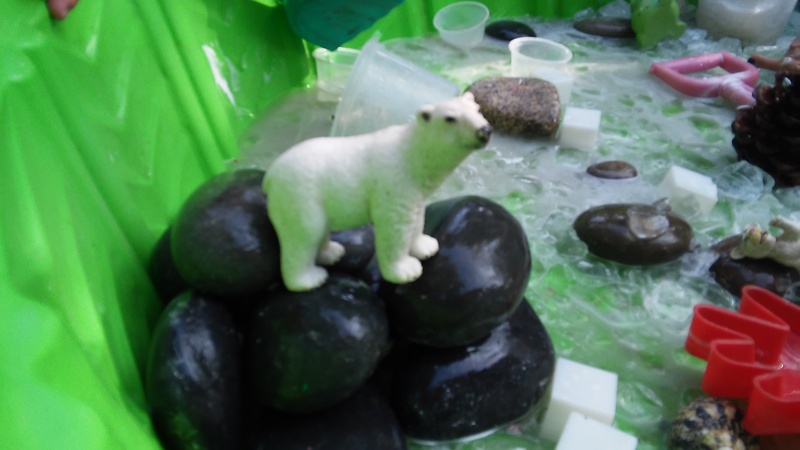 By providing your little one with the opportunity to construct their own polar bear habitats, they are learning about how these living structures function and thrive. As your child creates their individual den, they are formulating combinations of how shapes fit together. 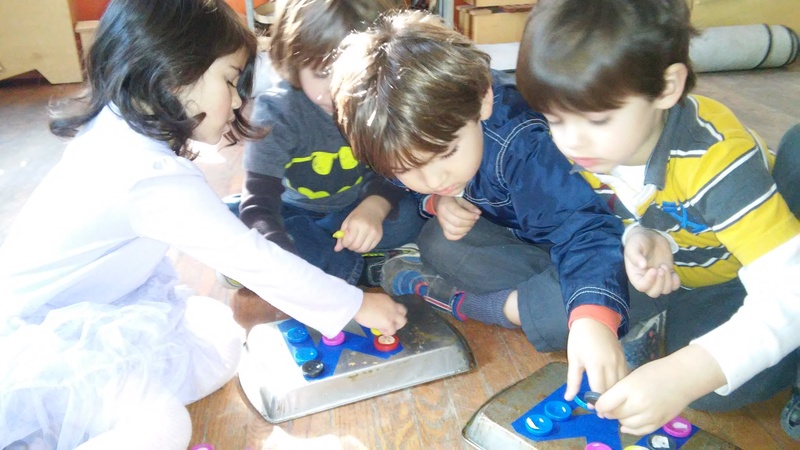 Open-ended play such as this also prompts them to group like objects together, an important precursor to more complicated mathematical concepts. 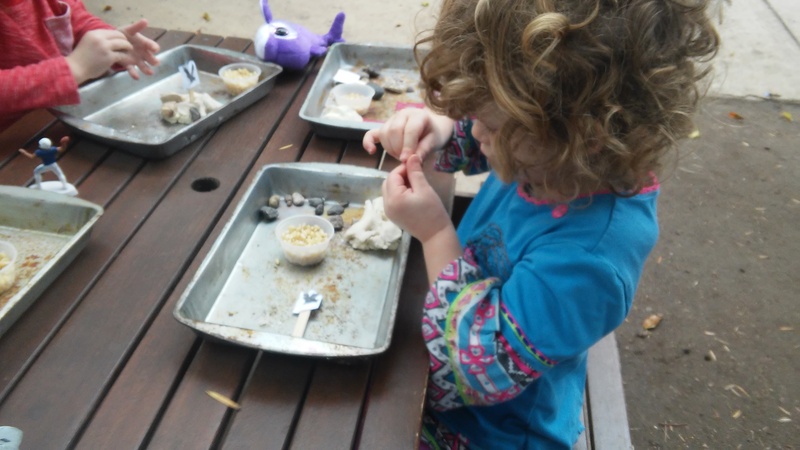 Pre-writing activities are a great way to build essential, foundational fine motor skills. 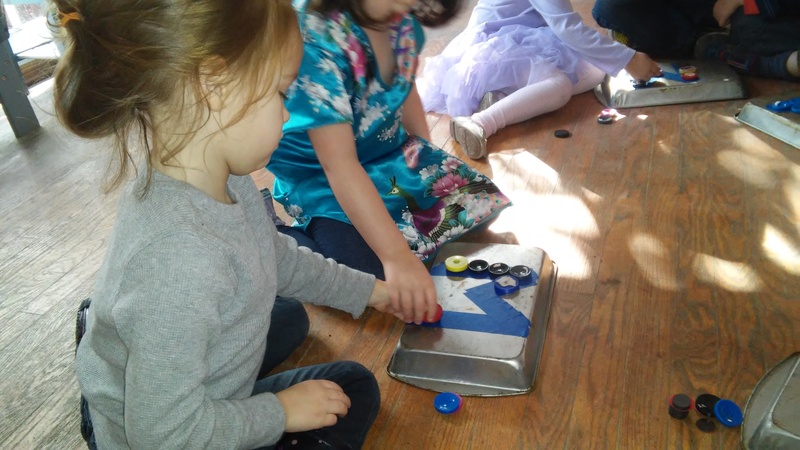 These skills include hand strength, directional movement patterns, and effective hand position, which will then facilitate making lines, letters, and shapes. All development comes in predictable stages. Before a child can write, he must have the prerequisite fine motor skills necessary to use his wrist and hands properly and effectively. 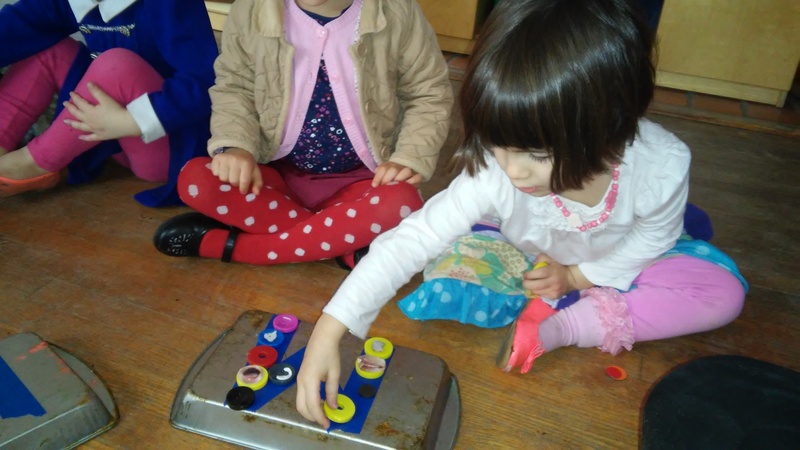 For this activity, we used magnets to continue our learning of the letter M. Students used magnets that they placed onto a metal tray in the shape of an M.
Diversity activities teach young children to respect and celebrate the differences in all people. 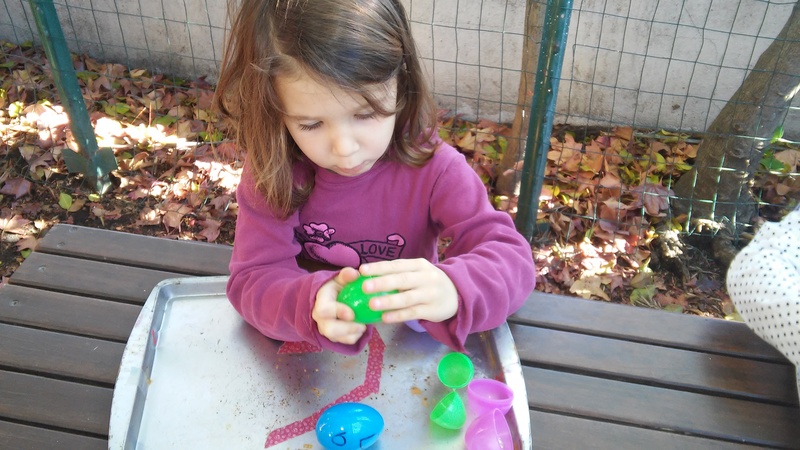 For this activity, we used multi-colored plastic eggs to do just this. We initiated the activity with a discussion of what diversity is, followed by a compare and contrast of the different eggs used. What are the main difference in these eggs? Is one color better than the other? Within each egg were jewels of the same color. 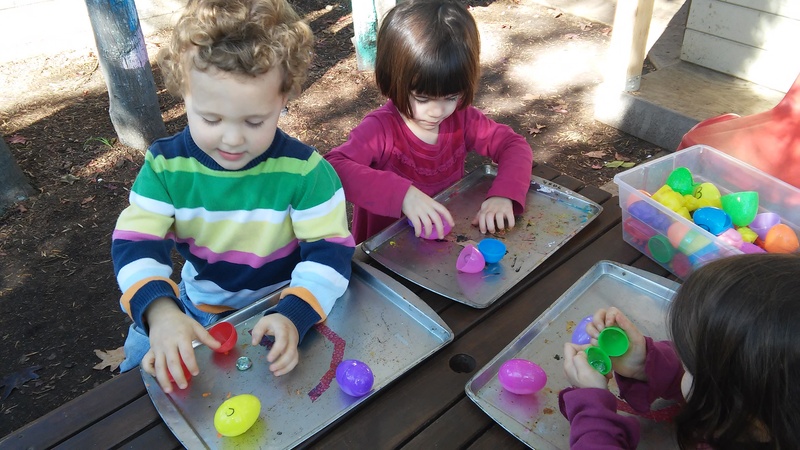 As each child opened their eggs, they noted that all eggs, regardless of color, all had the same amount and color of jewels. This led to a discussion regarding how people are the same and how they are different, and that things such as hair color, what toys you like, and the color of your skin are not as important as being a good friend. 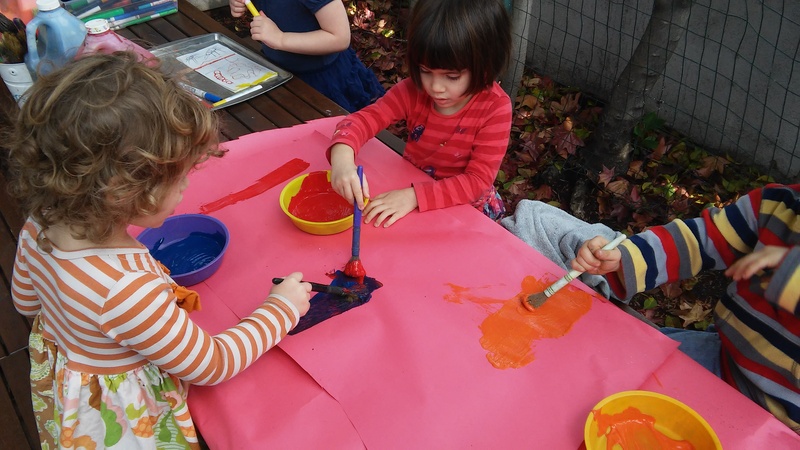 Teaching diversity to preschoolers provides a broad understanding of how children are each unique in their own ways. This process helps children learn more about who they are and is an avenue for teaching respect and acceptance of others. Multicultural lesson plans should combine content with hands-on learning experiences that bring diversity understanding alive. As children are challenged with new ideas, critical thinking skills are ignited and compassion for others is developed. 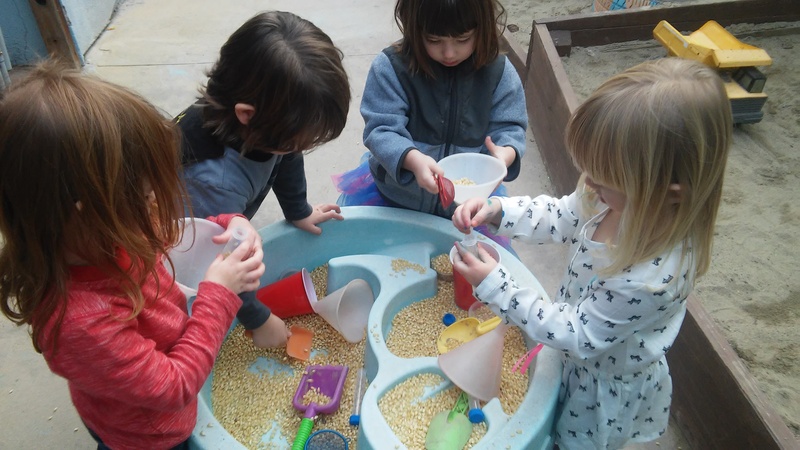 Preschoolers learn by exploring with their five senses, and sensory tables provide a fun and educational place to play. Students learn as they touch, see, smell, hear and even taste what each table has to offer. It’s learning disguised as fun — which is always the best way to learn. 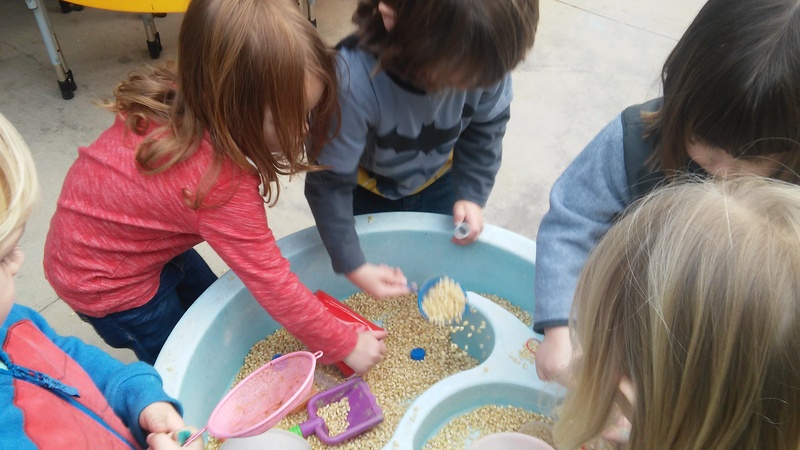 Because we are learning about the history of popcorn this week, your child engaged with a sensory table filled with corn kernels, test tubes, funnels, shovels, and bowls. The most obvious thing our students learned with this activity was cognitive skills. 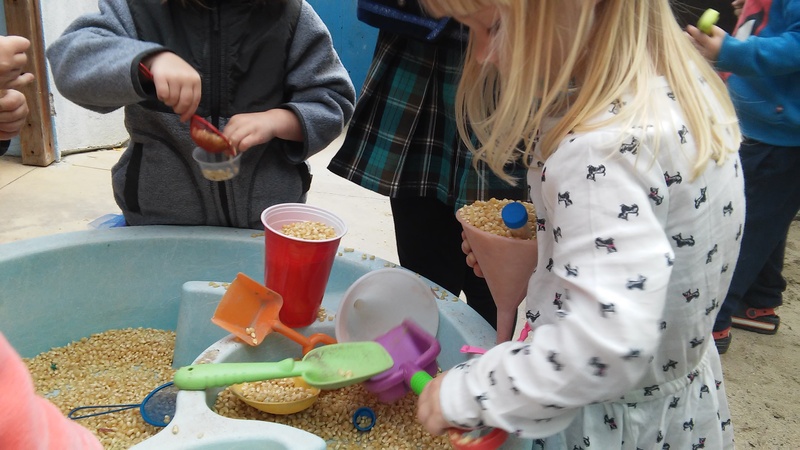 Sensory tables teach toddlers how the world works. 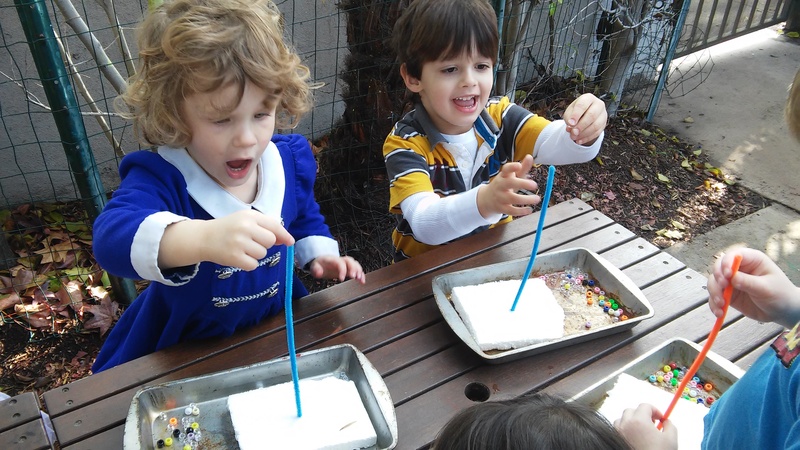 Through observation and practice, they learn that gravity pulls the kernels down a tube and pulls them through a funnel. 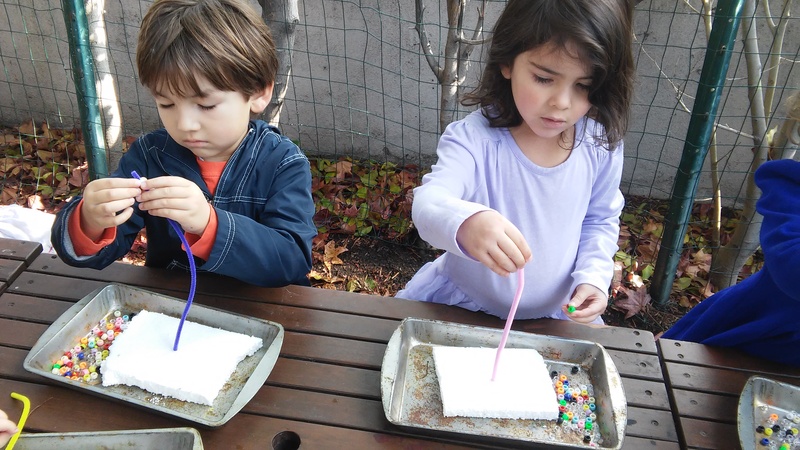 They learn that different materials have different textures, and that objects interact with each other in different ways. and similarities discovered, children learn to value themselves, appreciate their peers, and develop meaningful and significant relationships with one another. Often the preschool years mark a child’s introduction to the world of peers and peer relationships. Research supports the notion that children benefit in many ways from positive peer interactions. 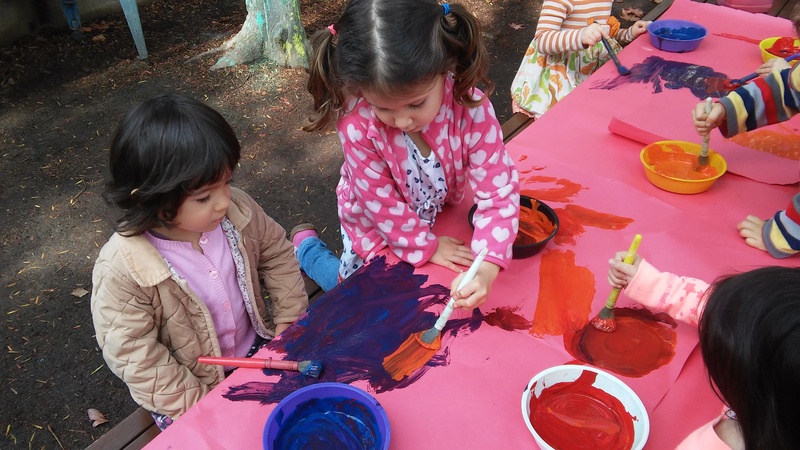 In early childhood programs, friendships foster a sense of connection and security and build self-esteem and self-confidence, helping young children adapt more readily to the preschool setting. For this reason, we try to introduce projects that foster these connections. Using pipe cleaners and beads, we created friendship bracelets, and then handed them out to our friends. If one child already had a bracelet from a friend, we kept looking to find another one! The overarching goal was to ensure that all students were included. Activities such as these provide important opportunities for children to learn and develop compassion, sharing, and a sense of community. 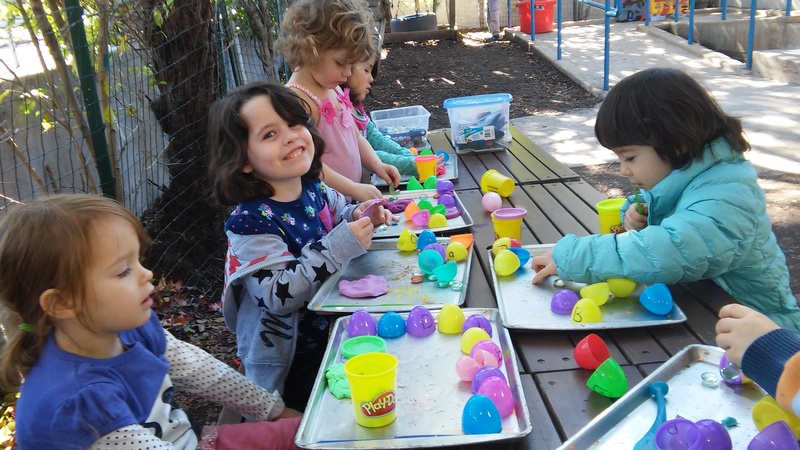 Your little ones celebrated the joys of making and having friends with our friendship theme. 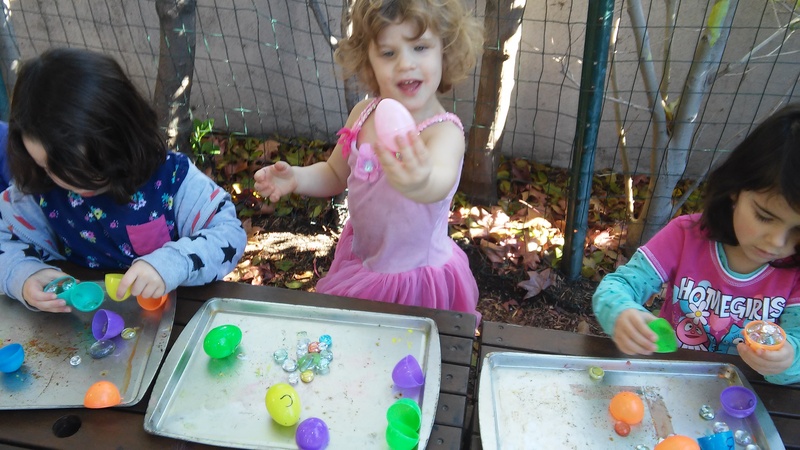 They engaged in sharing and caring activities, games, songs, rhymes, and literature. The togetherness painting activity was a starting point for one particular discussion about friendship behaviors: the act of sharing. This behavior was reinforced when students worked together to paint a picture. Everyone seems to love popcorn. It has become a mainstay at movie theaters, sporting events, amusement parks, and nearly everywhere else people gather. Although Americans are now such avid consumers of popcorn, and its agricultural history is long, its commercial history is comparatively short. Popcorn was not mentioned in early farm papers and seed trade catalogs until around 1880, but once the American public discovered it, popcorn’s popularity quickly grew. 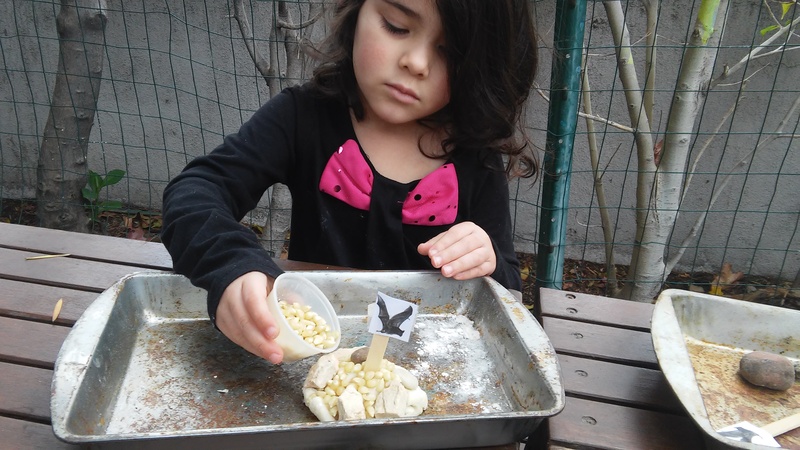 Scholars agree that corn, and popcorn, originated in the Americas. Precisely how it originated, however, is a topic of debate. It is believed by many experts that corn was developed by centuries of breeding and crossbreeding wild grasses like teosinte. There has also been much speculation about how popcorn may have been prepared or used by the native Americans, fueled by findings of popcorn in archaeological digs. The oldest ears of popcorn ever found were discovered in the Bat Cave of west central New Mexico in 1948 and 1950. Ranging from smaller than a penny to about 2 inches, the oldest Bat Cave ears are about 5,600 years old. 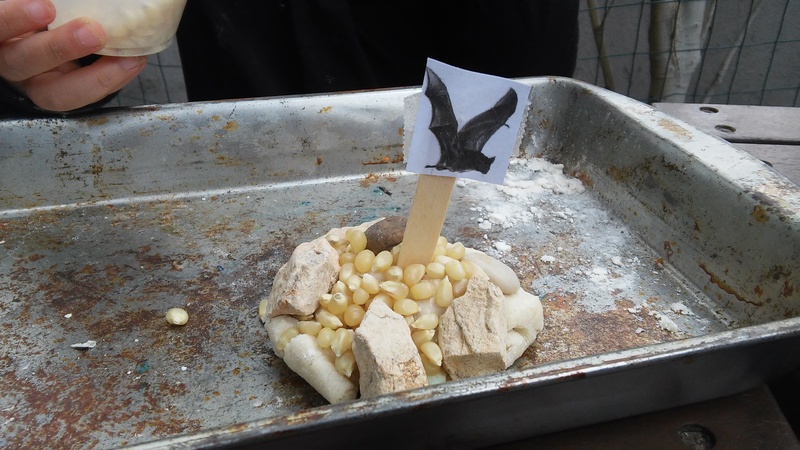 To help our budding popcorn farmers learn about these caves, we created our very own bat caves that we filled up with corn kernels! and watch grow into pumpkins or tomatoes. This is why we aim to create the things we are learning about; direct contact with materials helps children understand them.